Hurry! 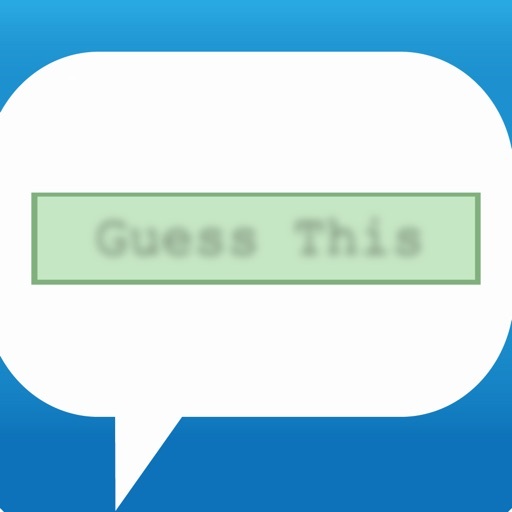 Help your friends guess the phrase before the buzzer sounds! Huge hand-picked phrase list, constantly updated and always growing Choose a category, mix and match, or play with 'Everything'. 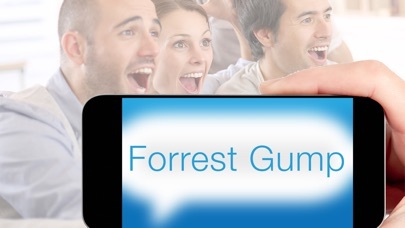 From Movies and Pop Culture to Kids Only, Science or Bitcoin… no matter what your interests or age, Phrase Party! 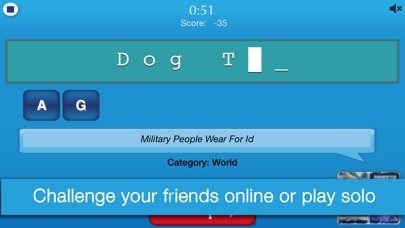 has categories and phrases you will have a blast playing with. Play with amazing and hilarious expansion categories that fit your niche. You can buy them or earn them for free. Whether you are looking for Adult themed packs, holiday packs, decade flashback packs or even for a specific cult interest, there’s sure to be a category just for you. A clean, beautiful interface that you will feel right at home using. 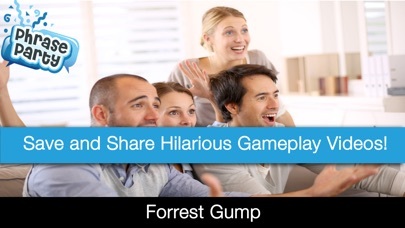 Watch a video recap of your game after you play to let the memories live on. Share to Facebook and Twitter. 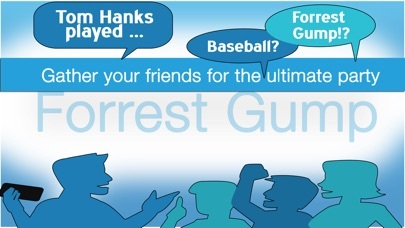 Use the hints from random players online to help you guess your phrases. How long can you go? Play with your friends online in a turn based, play at your leisure multiplayer mode. Aside from the well known classic mode, there is a Party and a Race game mode if you want to change it up. Add your own phrases and phrase packs. Share them with your friends. Adapt the game settings to your specific needs. or spelling errors. I promise. Although The rules and game play in Phrase Party! 's classic mode are very similar to that of Catch Phrase™ by Hasbro Inc., Catch Phrase™ is a registered trademark of Hasbro Inc. This product is in no way affiliated or endorsed by Hasbro and should not be confused with their product, Catch Phrase™. 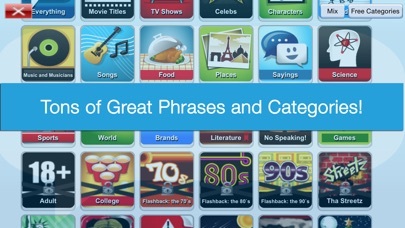 Thanks so much for getting Phrase Party into the top 50 apps on the App Store! - Fix for a bug that caused things to go south once you stopped a game and left the play screen.